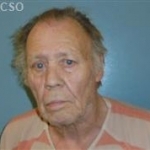 PENDLETON, Oregon – The state’s manslaughter case against Leman Bledsoe, 77, of Milton-Freewater has been delayed. He’s accused of striking and killing a flagger in a construction zone on Oregon Highway 11 while he was allegedly driving under the influence of intoxicants. Court records indicate that Bledsoe’s attorney questions whether he is able to aid in his defense. “At the status check there may be some information as to where we are there,” Primus said of his plans for the future. In November, Bledsoe’s defense attorney had asked the court for more time to prepare for the case. That was granted, and a preliminary hearing was set for this month. Prior to the hearing, the defense counsel filed the request for a delay, and it was granted by the judge.